Dhaka, Nov 23 (Just Nnws) : Dhaka stocks inched up on Wednesday despite gains in share prices of most of the scrips as investors went on share sales, especially from banks, following the news of surge in banks’ defaulted loans. 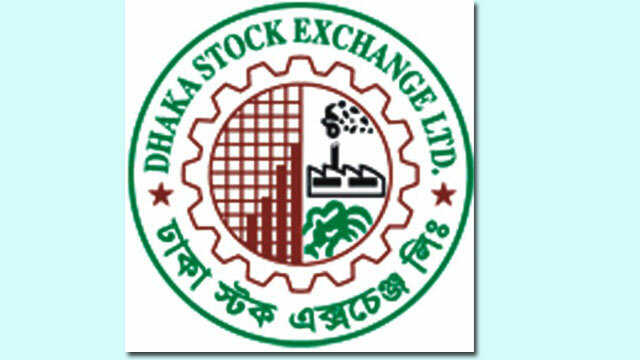 The key index of Dhaka Stock Exchange, DSEX, edged up by 0.56 per cent, or 7.45 points, to close at 6,289.33 points on Wednesday after losing 37.25 points in the previous session. The equity market remained bullish in the morning session that moved downward soon after closing the session and inched up as investors kept on profit taking share sales from bank sector. The market ended with marginal gains despite fall in share prices of most of the large capitalised sectors as banks plunged on investors’ profit taking move for the second day following their recent breathless surge, they said. Besides, many investors became demoralised following the news reported on Tuesday that total of Tk 18,135 crore of loans became defaulted in the banking sector in nine months of 2017 as the trend continued in the third quarter (July-September) when Tk 6,833 crore more was defaulted. The amount of total non-performing loans in the banking sector stood at Tk 8,0307.21 crore as of September 30, 2017 rising from Tk 74,148 crore as of June 30 this year as the banks disbursed large amounts of loans to their clients. Therefore, an average share price of banks declined by 0.82 per cent that slowed the market buoyancy. Out of 30 traded bank scrips, 21 declined, eight advanced and one remained unchanged on the day. Among the large capitalised scrips that gained on Wednesday, telecommunication, food and energy surged by 2.0 per cent, 1.1 per cent and 1.0 per cent respectively. Share prices of Grameenphone rebounded with strength, gaining 2.20 per cent while British American Tobacco and Square Pharmaceuticals gained 1.44 per cent and 0.52 per cent respectively that saved the market from major fall, stockbrokers said. Turnover on the bourse, an important indicator of the investors’ participation, declined further to Tk 898 crore compared with that of Tk 1,091.90 crore in the previous session. Of the 330 companies and mutual funds traded, 120 declined, 167 advanced and 40 remained unchanged. ‘The market opened with a upward vive but witnessed some profit booking activities which was absorbed by the stocks from bank sectors due to the concern over increasing NPL in the banking sector,’ said EBL Securities in its daily market commentary. DS30, the blue-chip index, added 0.08 per cent, or 1.93 points, to finish at 2,270.66 points. Shariah index, DSES, increased by 0.56 per cent, or 7.83 points, to close at 1,389.56 points. LankaBangla Finance led the turnover chart on the day with its shares worth Tk 60.15 crore changing hands. AB Bank, Square Pharmaceuticals, United Power Generation Company, CMC Kamal, FAS Finance, Dhaka Bank, BBS Cables, Grameenphone and Keya Cosmetics were the other turnover leaders. Peninsula Chittagong increased the most with a 9.95-per cent rise in its share prices, while Baraka Power was the worst sufferer on the day, shedding 12.13 per cent.